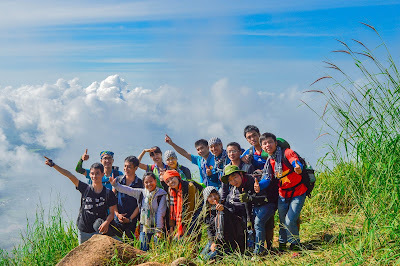 During Halong Sapa Package Tour 4 days, many of our visitors shared that they were fascinated by the food in Halong Bay. And the below is "Top famous specialties in Halong Bay, Vietnam", for visitors should enjoy when travelling to Halong Bay. 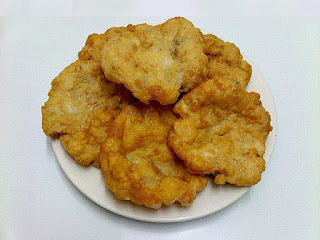 Fried squid ball has become popular in daily meals of local people in Halong. 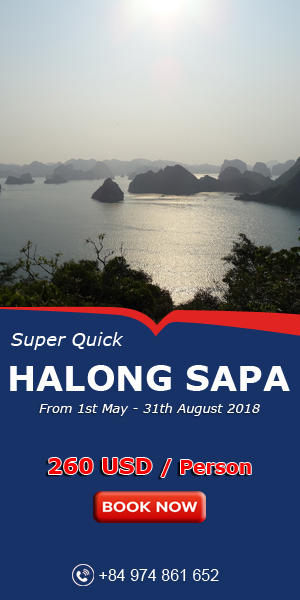 Nowadays, it steals the hearts of thousands of tourists coming to Halong by its toughness, brittleness and the smell of squid. It can be served with the sticky rice, rolled cake. The fried squid ball has a fresh yellow, passionate fragrance and a delicious flavor wining a point for us to approach the recipe. Standing in front of a stall filled with pieces of fuming fried squid balls, visitors will not be able to resist its attraction. Lobster is available in many places but you just find its unique flavor in Halong. 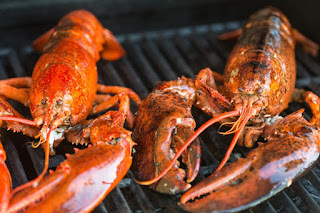 Lobsters are nutritious and delicious when are processed into many dishes such as steamed lobster, fried lobster with salt, lobster salad, etc. Steamed lobster is considered one of the most wonderful dishes as it keeps the full flavor of the sea. Lobsters are green when alive, turn to pink when steamed. Steamed lobster is decorated with onions and herbs, served with soy sauce or fish sauce. “Ngán” is a bivalve mollusk such as clams, can be processed in various ways: grilled, steamed, made soup, fried with noodles or vegetables. “Ngán” also can be used to make wine which owns sea scented. 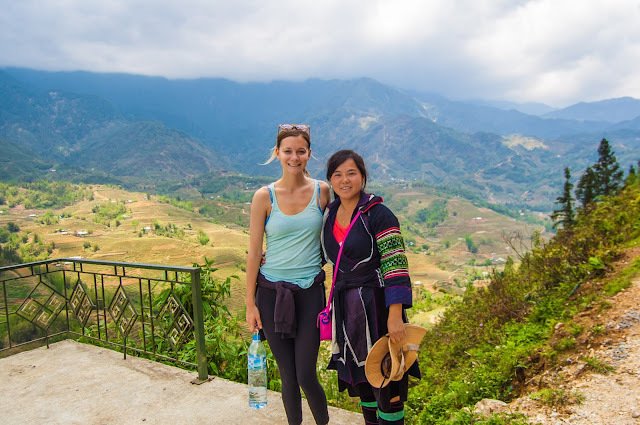 You can try it in all restaurants in Halong. 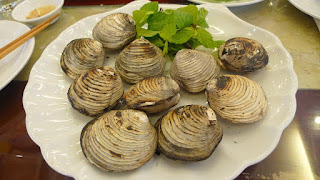 Sipunculus is a kind of sand worm, a kind of seafood that only exists in Halong. Fresh sipunculus fried with garlic spikes make a delicious dish. You can dry sipunculus into dark brown then grilled or roasted it to use with a cold cup of beer or spices for noodle broth. Sipunculus are rare, if also very high price, one kg close to 4 million. Fried sea snails with chili sauce is one of the most favorite dishes of people in Halong, especially men when enjoy it with fresh beer. Snails are washed, and put in a pot. Then adding chili sauce and cook without adding water and cooking oil. 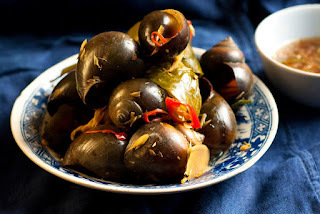 When completed, snails fried has passionate fragrant and fuming. A snail dish is eye-catching with pink color, red dots and yellow dots of snails. This dish tastes greasy, spicy hot, usually added with herbs. 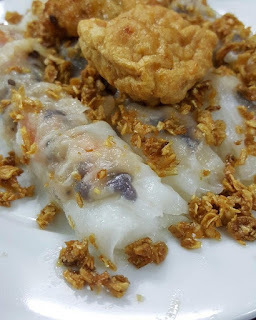 “Banh cuon” with meat, mushrooms, fungus, shredded meat and onion-scented, served with famous grilled chopped squid, all create unforgetable taste. Another attractive specialty of Halong is horseshoe crab, an arthropod crustacean. From this, people can process a lot of delicious and unusual dishes such as: blood pudding, salad, sweet and sour fried legs, sauteed with lemon grass, fried horseshoe crab’s eggs, steamed, baked cartilage, fried with vermicelli and so on. 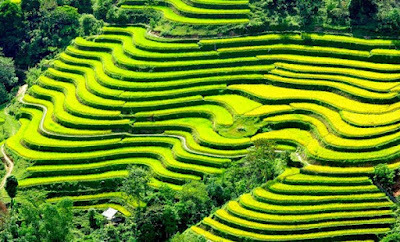 Why should travel Halong Bay by cruise ?